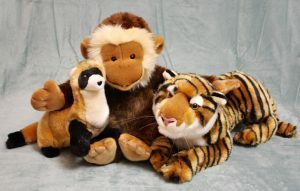 In our stuffed animal room, you will find bears, dogs, cats, and animals that inhabit jungles, farms, and forests. 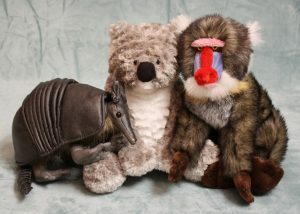 While our selections vary, you can always find unique and unusual creatures. 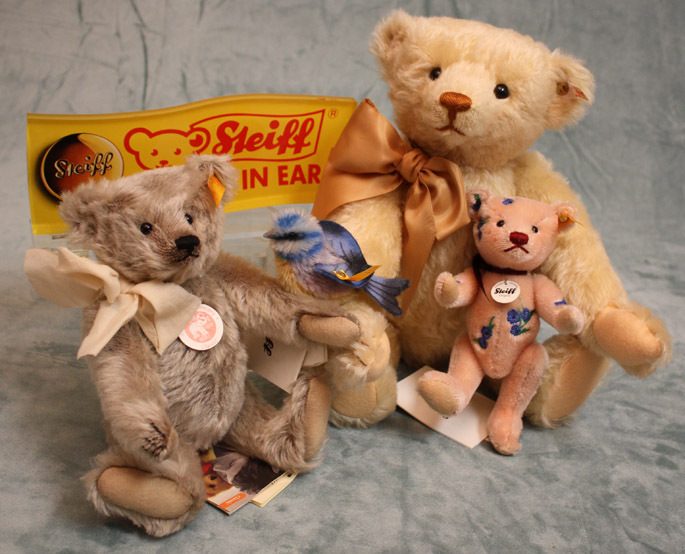 If you want a particular Steiff, let us know, and we will try to obtain it for you. 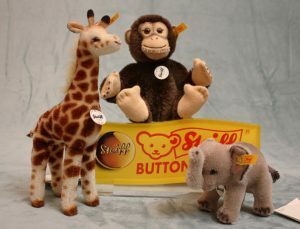 In August, we have our annual Steiff Trunk Show. E-mail or call us to get on the mailing list, and we will contact you when we have our date confirmed.